Inviting master teachers, guest instructors, or visiting artists to teach at your school can be an enriching and motivating experience for dancers of all ages. Make the most of this experience by fully engaging in your role as host. As you prepare, participate, and reflect on your visitor’s class, workshop, or residency, use this checklist as a guide. What do I want my students to learn about dancing/technique? How do I want my students to feel after this experience? 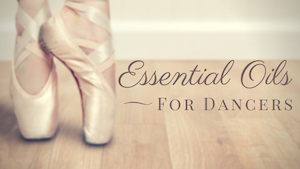 What do I want my students to understand about themselves or their personal dance goals? What do I want my students to do as a result of this experience? What qualities am I looking for in a guest teacher? What resources or contacts are available to me to find the right instructor? How will I narrow my choices for instructors? What do I need to know or ask to make my final selection? Which age groups or levels do I think will benefit the most? Why? 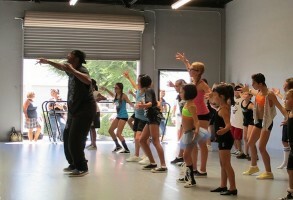 Which dance style or styles do I want my students to explore and experience with a guest? How will I make it easy for students to participate? Incentive? Cost? Sign-up? What will be the obstacles/objections for students and parents? How will I respond and remove these objections one by one? How and where will I promote the class/residency? Any expectations you have or standards required (from attire, to language, to mandated regulations or procedures depending on your circumstances). Providing a list makes you appear organized, puts it in writing, and ensures that the teacher has an opportunity to object or ask questions. Who will be there to assist, help manage the class(es), observe, and/or co-teach during a long-term residency. Lots of communication about the event, time, cost, etc. How do they respond to new material? Do they embody the given movement? How do they respond to new concepts? What are the things they respond favorably or positively to? What are the things they respond negatively to? Do they seem stuck in old patterns? Do they pick up the movement quickly? Be prepared to quickly discipline or handle behavior issues should problems arise. If you are taking the class along side your students rather than simply observing, you might consider videotaping the session (you have an ethical obligation to check with the instructor first and let them know if you plan to use video footage or photographs for promotional purposes). Survey students and parents (formally or informally) to gather thoughts and reactions. Send a thank you to the guest teacher. You might include some of the reactions or results from your survey or have students write their own notes or cards of appreciation. The teacher will appreciate and can use positive testimonials. Constructive criticism may also be appreciated – use your best judgment and tact. Continue to dialogue and ask questions if you have them. Your guest will usually be happy to discuss their methods and reasons behind them if you present your thoughts/questions clearly and are considerate of their time. Based on your observations, fold new ideas and concepts into your own teaching. Take special note of the kinds of things that really seemed to ‘click’ or work for your students during the session. How can you incorporate or address this in your regular classes. What would you add to the checklist? Tell us about your experiences with guest teachers! Did you see a positive change in your students? What have you learned from past events or mistakes?